Are you busy? I know I am busy. I’m so busy, I ate out a bunch last month because I just did not want to cook. B didn’t want to cook, and we both were over peanut butter sandwiches. Enter: budget-busting restaurants. You know what would have been helpful? Having a meal delivered right to our door! And I don’t mean pizza. I mean a healthy meal I can cook myself and still feel relatively healthy. The other day, I was lurking around Groupon.com and saw a Groupon for a discount on a local meal delivery service in our area. It was super cheap too, and I was very tempted. It got me thinking: considering how busy most Americans are, wouldn’t spending a couple of extra bucks a month on a healthy food delivery service be worth it? Blue Apron – $10 per plate, $60 for 3 meals serving 2 people each, per week. Product review by the kitchn can be found here. HelloFresh – $11.50 per plate, $69 will get you a Classic box with 3 meals for 2 people, vegetarian box costs less. PeachDish – $12.50 per plate, $50 for 2 meals for 2 people. This Atlanta-based company has a Southern slant to their food and includes a surprise treat each week. Plated – $15 per plate, $60 for 2 meals for 2 people per week. Those who sign up for a year membership ($8 a month) pay $12 per plate. Blue Apron has the lowest price per plate and, according to the the kitchn review, has some really great meal choices (although you can’t specify ‘no pork’ if someone in your house doesn’t eat pork). Personally, I was really intrigued by Plated, which allows you to choose your meals (doesn’t give you a menu plan) and focuses on local ingredients. 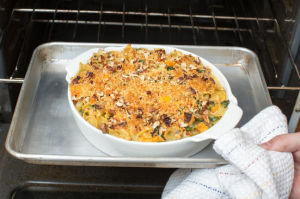 Creamy Sweet Potato and Kale Casserole. Okay, so I like the idea of being healthy (sweet potatoes and kale) with the deliciousness of heavy, probably-not-that-great-for-you food (‘creamy’ and ‘casserole’ are probably not things I should eat on a regular basis). When evaluating whether or not meal plans are worth it or not, we have to know how expensive the ingredients are if you were to buy them on our own. This meal doesn’t look like it would be that expensive to buy and make on your own: egg noodles, kale, sweet potatoes are all relatively affordable. Pecans, ginger, parmesan cheese and berbere spice (for the béchamel sauce) may be a little more expensive. At $10 total for two people, one meal, it’s way cheaper and probably a bit healthier than a restaurant meal (although with restaurant meals, you can take half home to save money). According to the Blue Apron review, these meals basically make enough for one person each, with no leftovers. One on hand, this could be great if that’s all you’re looking for. However, what if you really like the dish and wanted leftovers? In that case, buying the ingredients yourself and making enough for leftovers would be worth it. When I went to Plated’s website to choose a sample recipe, I was directed to input my zip code and then estimated delivery date. Since I’m hungry now, I chose this week and was presented with a few options by ‘land’ ‘sea’ or ‘veggie.’ I assume I could choose one from each but, since I’m a vegetarian, I clicked the ‘veggie’ option. One of my three choices was already sold out, so I was left to choose between Carmalized Cauliflower Tagliatelle with Hazelnut Pesto and Red Rice with Roasted Squash, Leeks and Pepitas. While making pesto is slightly easier than béchamel sauce, I love rice and pepitas anyway, so I chose that recipe. Plated told me what ingredients they would send me, but did not give me instructions for how to cook it, although the website says it will take 30-40 minutes to cook. Based on this recipe, Roasted Delicata Squash with Honey, Pomegranate Seeds and Pepitas, I could see I would be baking the squash and maybe sautéing some leeks, along with cooking the rice. However, this at least seemed like a dish I could start and walk away from (to snack on some Triscuits since I’m always hangry when I get home), unlike the béchamel sauce from above, which I would have to babysit. Once again, some of the ingredients were affordable (leeks, butternut squash, rice) and some could be expensive, particularly if you don’t use those ingredients that often (honey, pepitas, pomegranate seeds). Plated it also more expensive than Blue Apron – if you signed up for a year membership, it would cost $12 for two people, one meal. Introduces you to new and different meals you may not otherwise make. If you don’t end up liking the meal, you don’t end up with a bunch of ingredients you’ll never use again. $60 a week for two people, which means a monthly subscription would cost $240 a month. Can you feed yourself and another person well for less than $240? Be honest: if you’re only eating PB&Js for most of that month, maybe $240 is worth it. But if you’re a decent enough cook, you probably can get away spending less than $240 to feed two people for one month. Meals that sell out or you don’t like them. If your meal sells out that week on Plated, you have to choose something else. If you don’t like the meal Blue Apron sends you, you have to deal with it. Doesn’t really save a whole lot of time in the kitchen. For the recipes I looked at, you would be spending about 30 minutes per meal cooking. You could cook it all ahead of time, and keep it in your refrigerator, but I can think of at least a handful of meals (that aren’t PB&J) that B or I could make in less than 30 minutes. Not to mention leftovers: sometimes we have leftovers that can be incorporated into the next day’s meal. You won’t have that with meal delivery services. 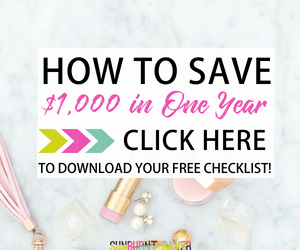 The bottom line is: what are you trying to save? If it’s time spent grocery shopping, and you’d like to try some new meals, than a meal delivery service could absolutely be worth it. 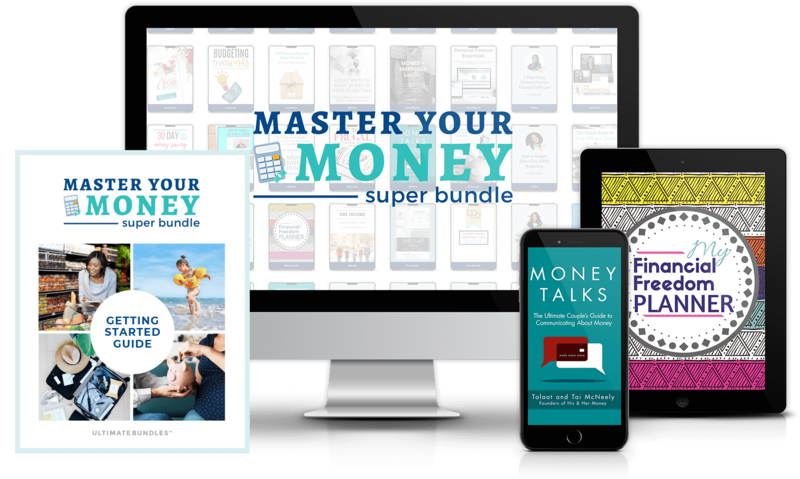 However, if you’re trying to save money, there are a variety of ways you could try new recipes and save money. Rachael Ray will help you cook a year’s worth of meals in 30 minutes or less (not an affiliate link), and the editors from EatingWell will help you eat well on a budget (not an affiliate link). 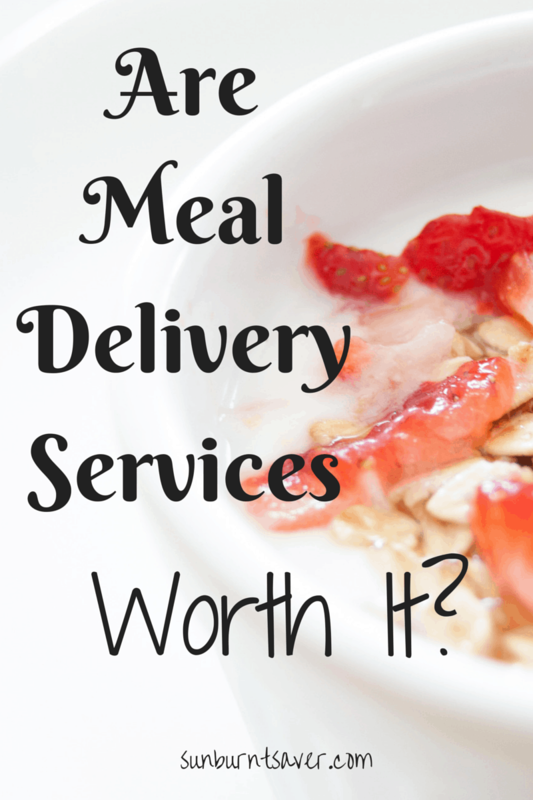 Have you or would you ever subscribe to a meal delivery service? Are you a cook, or is cooking a chore for you? What’s your quick go-to meal when no one feels like cooking? Hey Melissa! Is this $60 a week for two people, one meal? It sounds pretty expensive. – Pizza on a pita: put tomato sauce, some veggies, and cheese on a pita bread and bake in the oven at 350 degrees for 10 mins. That’s it! Hey Christine! $60 a week for two people, 3 meals a day (for Blue Apron) and $60 a week for two people, 2 meals a day for Plated. Yeah, the more I think about it, the more it doesn’t allow for creativity either… you really do get whatever they send you (or what you pick, but you’re limited to their choices). $60 for two people, 3 meals plus snacks and occasionally drinks is around what B and I spend, although it definitely fluctuates. Today, we spent $60 for the week, but we bought things like peanut butter (I may be obsessed) that will last for several weeks, so next week will probably be closer to $40. I LOVE quesadillas – I can’t believe I forgot about that one! Pizza pitas I never though of, or fresh spring rolls either – they always sounded hard, but rolling some up in rice paper doesn’t sound too difficult. Besides, if I’m messy, at least I’m messy in my own house. 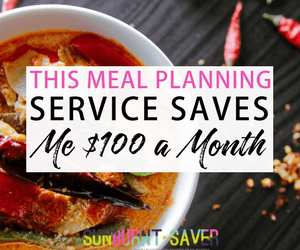 I’ll have to check out your blog, but how much do you usually spend a week/month on meals? Oh okay! 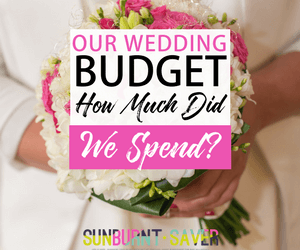 The prices aren’t so bad then 🙂 But you’re right about the limited choices – it’s an easy way to burn out. I could see myself subscribing to this kind of meal service 1-2 times a week though. Andrew and I spend about $80-$100 a week on groceries. He eats meat so this would include chicken, pork, steak, or whatever he’s feeling that week. We live right smack in downtown Toronto and find our local grocery store prices a bit higher than average but I think $80 for 2 people isn’t bad. We buy the majority of our items from fresh too. I was with Christine, I thought it was $60 for three meals and was gonna be like nooooo! I think it depends on what you want to eat and your cooking style, but having the idea of having meals delivered sounds awesome! Right now, I average between 50-60 on groceries for the week for just myself and that covers breakfasts, lunches ( I try as often as I can to pack them! ), dinner and snacks. Processed food tastes disgusting to me lately so I’ve been trying to stay away and I’m allergic to it usually due to my gluten allergy. Ah, I love cereal on a night I don’t feel like cooking! So delicious! 🙂 Oops, sorry about the $60 for 3 meals things… probably should clarify that! That would be ridiculous, for sure! I never really looked into meal delivery services, mainly because we make most of our food at home. It’s our way of saving a bit of money while we pay down debt. I’m not gonna lie, the meal delivery services sound really convenient, though. I would love to have my meals delivered. I know I wouldn’t be able to afford it. Hmm I don’t know if we really have these here! Lately we have been experimenting with getting produce boxes delivered and plan to blog about that soon. There’s a little company here that does ready meals that you can pick up from city locations (handy for city workers like me) and I think they have JUST expanded to delivery. I tried them once (pickup) and I really liked the food (my partner a little less). But the price, and the amount for the price, was just too high to do this regularly. Oh, I can’t wait to read your blog post about your produce boxes! I did produce boxes for a while, but I kept getting stuff I didn’t like and didn’t know how to cook. But I’m a terrible cook, so I’m curious to see how you liked yours 😉 Hey, that meal pick up program sounds pretty cool! That’s really handy! I’m really curious about these! Charlotte over at TeensGotCents actually wrote a great review of Plated maybe two months ago that piqued my interest. I keep trying to keep an eye out for deals but I also hate trying to get deliveries in NYC. Oh, awesome! I’m going to check out Charlotte’s review right now. I’m really curious to see what other people think of them… people who have actually tried them! I definitely want to do it one of these days, just need to figure out when it will fit in the budget! Oh gosh, I read Stefanie from The Broke and Beautiful Life’s post about carrying things in NYC… grocery shopping would be an absolutely nightmare for me if I lived there! I would absolutely sign up for meal delivery in NYC. I would just skimp on buying anything else… like toothpaste, deodorant… haha gross but true! Anything to avoid carrying groceries on the metro and up 6 flights of stairs! Wouldn’t it be great if they also prepared and cooked the meal for you?!?! For more options and less money, you could just grocery shop online with delivery. I guess I am unsure if all areas in the U.S. have this option. But it is quite popular in England. However, I am picky (farmer’s daughter) and I like to look at the produce and other products before purchasing. I would love already made meals delivered, but I think that’s take out food… haha 🙂 I think the bonus to meal delivery services is supposed to be that they are ‘healthier’ – you are making the food, so you know how much oil, salt, etc. is going into the meal. I think most areas of the US have this option, but I doubt rural or small towns have it… yet. It’s probably more geared to cities right now, where people are theoretically busier and have less time (or interest) in coming up with meal ideas every night. For $240 a month I could make more than 3 meals for 2 people per week. Although I am not a cook and have used a similar service a couple years ago I see the draw of being exposed to new dishes and the time savings. Now, I’ve become a bit more understanding of what’s important in my life I definitely spend less than $200 on breakfast, lunch, dinners and snacks per month.